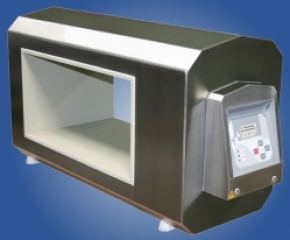 Tunnel metal detectors are used in combination with a conveyor belt system. The belt then runs through the tunnel. When a signal is received from the metal detector the belt can be stopped and/or an ejection mechanism can be activated.